Work with a team that knows how to make franchising work for you. 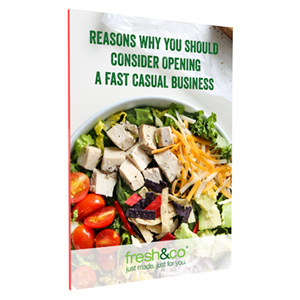 With 25+ years in the restaurant industry, fresh&co gives our franchisees everything they need to get their fast casual restaurants up, running, and thriving. Just as we support local, seasonal, and organic healthy food options every step of the way from farm to table (or desk! ), we’re committed to supporting you every step of the way as you establish and run your own business. Our affiliates’ 12 fresh&co® fast casual restaurant franchises open for the entire 2017 calendar year and which are substantially similar in design and operation to a Franchised Business, had average gross sales of $3.2M+ for the 12 month period ending December 31, 2017. This and other information about the revenue fresh&co® restaurants franchises have earned is in our Franchise Disclosure Document. 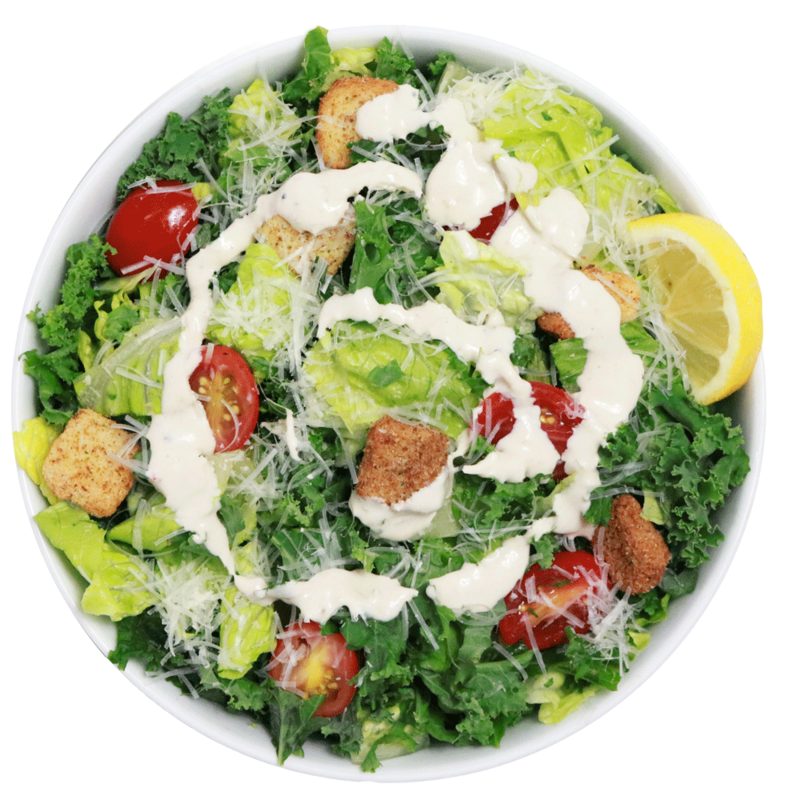 The chef-inspired menu at our healthy food franchise locations uses seasonal, local and organic ingredients from carefully chosen purveyors to create flavorful meals that suit all taste buds. We’re 100% on-board with diet diversity and have worked with nutritionists to design a natural, healthy, and delicious menu at our fast casual restaurants that accommodates an array of dietary choices and needs such as vegan, vegetarian and gluten-free. We’re dedicated to sourcing the best possible organic and seasonal ingredients, as well as pasture-raised poultry and meat, so we’ve developed close connections with local growers and suppliers, and even started our own farm. We believe strongly in the power of community at our healthy food franchise, which is why we extensively train and support our franchisees and treat our customers like family by serving them the goodness of home-cooking combined with great service. deeply about our team, franchisees, and customers. 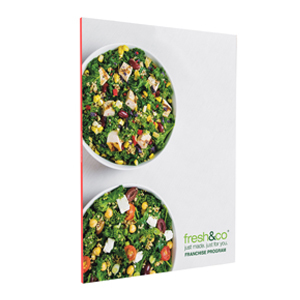 Taking advantage of a fresh&co franchise opportunity gives you access to a respected fast casual restaurant brand, a beloved healthy menu, finely-honed operating systems, our all-encompassing training program, and a team that’s 100% committed to your success. You tell us more about yourself and submit a form so we can start discussing your franchising options in detail. We send you additional info and you get to have an in-depth chat with one of our friendly franchise consultants. You then submit a formal franchise application, and get invited to meet our awesome team in person at one of our Discovery Days. Once your application’s approved, we dot the ‘i’s, cross the ‘t’s, and help you navigate all the practicalities of opening your very own fresh&co. 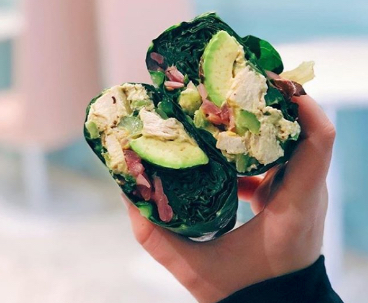 Healthy-meal chain Fresh & Co. — known for its chopped salads, soups, grain bowls and cold-pressed juices offerings — has debuted a new location in New York City. 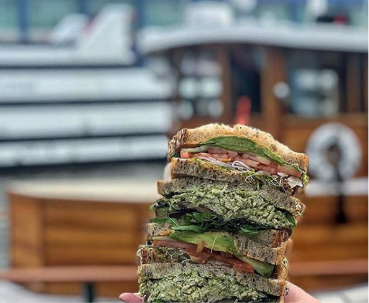 From signature chopped salads and homemade soups, to made-to-order sandwiches, quinoa bowls and cold-pressed juices, fresh&co has sourced pure foods free from synthetic fertilizers, antibiotics, pesticides and other additives from local farmers. 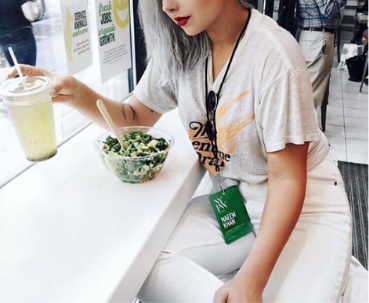 These are the true salad days for some New York City restaurateurs.